I don't know about you, but it feels like every weekend in December is a food-filled one! With so many holiday events going on, there's never a shortage of great holiday treats to enjoy. Even a week after the holiday cookie swap I hosted, friends and family have been asking me for a specific recipe I prepared. Well, now I finally had a chance to sit down and share it! 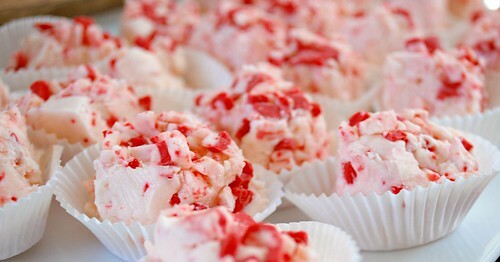 Clearly, the most popular recipe request this past week was for my Peppermint Crunch Fudge. 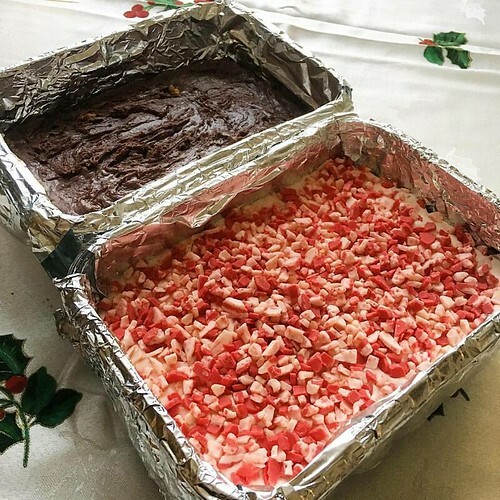 A festive candy made with marshmallow fluff, peppermint crunch baking chips and candy cane kisses, this fudge melts in your mouth leaving that holiday peppermint flavor that makes you want to get another piece! Prepare 5x7 or 8x8 pan by lining with foil and lightly grease with non-stick cooking spray. In a medium saucepan set over low heat, melt butter with sugar, salt and half & half and let it come to a boil. Cook for 5 minutes and take off heat. Add white chocolate chips and marshmallow fluff to saucepan, stirring until completely melted through. 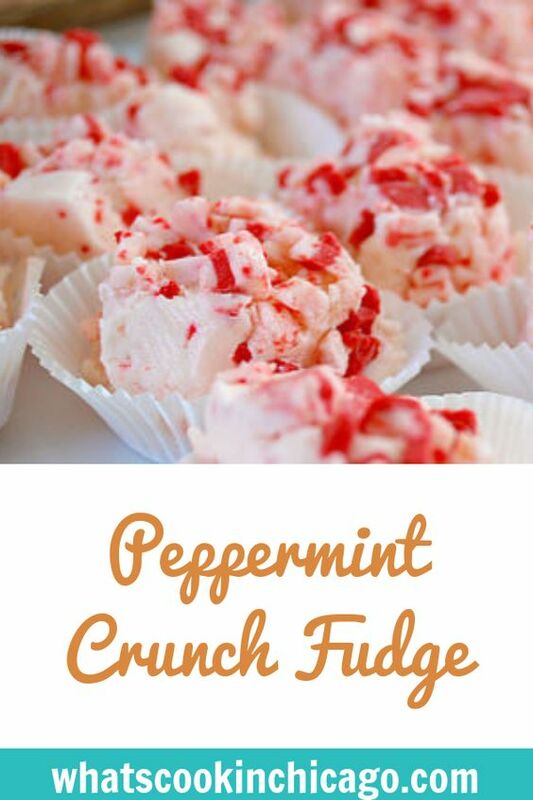 Fold in the Candy Cane Kisses and half the bag of Andes Peppermint Crunch baking chips, stirring until melted through. Transfer mixture to prepared pan. Sprinkle remaining Andes Peppermint Crunch baking chips on top. Cover with plastic wrap and chill in the refrigerator for at least 4 hours to set before cutting and serving. Want to save this recipe? PIN it with the image below!